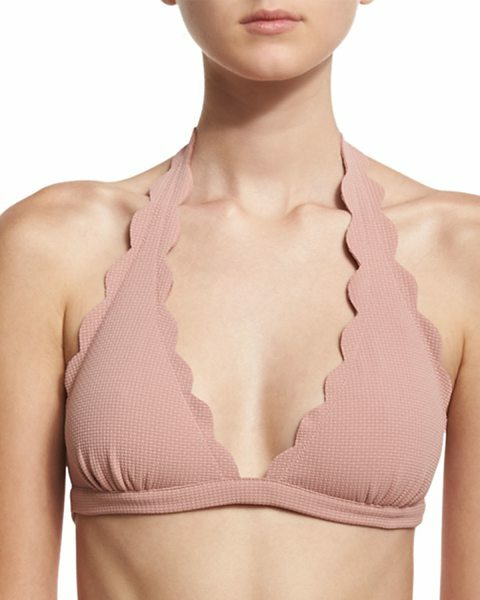 Marysia "Spring" swim top in solid microfiber. Scalloped edge for feminine appeal. Deep V neckline; halter straps tie behind neck. Triangle cups with band underneath for light support. Fastens at back. Nylon/Lycra spandex. Imported of Italian material.